Arne Exton has updated his Android-x86-based AndEX project to the latest Android 9.0 Pie mobile operating system, which now lets users run Android 9 Pie on their personal computers. AndEX Pie 9.0 Build 190326 is now available, based on the Android-x86 project, an open source initiative that let you run Android on your PC. It comes with comes pre-installed with numerous popular apps, among which we can mention the Aptoide app manager, Mozilla Firefox web browser, Clash of Clans game, and several useful utilities. While the Google Play Store or any of the GAPPS (Google Apps) aren’t available in this build of the AndEX project, the developer says that Aptoide is a good replacement for Google Play Store to install more apps. 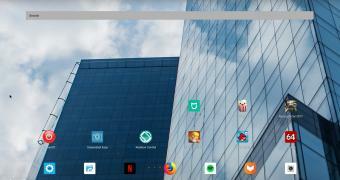 On the hardware side of things, AndEX Pie appears to work well with almost any newer laptop and some desktop computers.